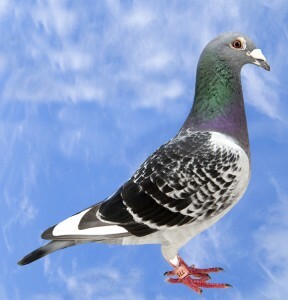 The Solway Federation of Racing Pigeon Societies is a none profit-making organisation formed in 1928 to promote the traditional hobby of racing pigeons. The Federation consists of eleven affiliated clubs situated throughout Dumfries and Galloway in the South West of Scotland. They stretch from Langholm in the East to Castle Douglas in the West. We currently have one hundred and sixty four members of all ages from eight to eighty. The Federation is run by a set of officials and a committee. The committee consists of a nominated member from each affiliated club. They meet throughout the year to manage the affairs of the Federation. The Federation is arranged in two sections, East and West, and affiliated clubs are divided between the two. Members compete weekly in each race for section and overall Federation positions, and compete for section prize money in the two open races. The Federation organises 19 races a year, allowing fanciers from all over the region to come together to compete. Of the 19 races, one young bird and one old bird race allows the members to also compete for Federation prize and pool money. These are open races. Races are usually race marked and clock set at the member’s individual club rooms. The open races are an exeption, as these are race marked at specific clubs.